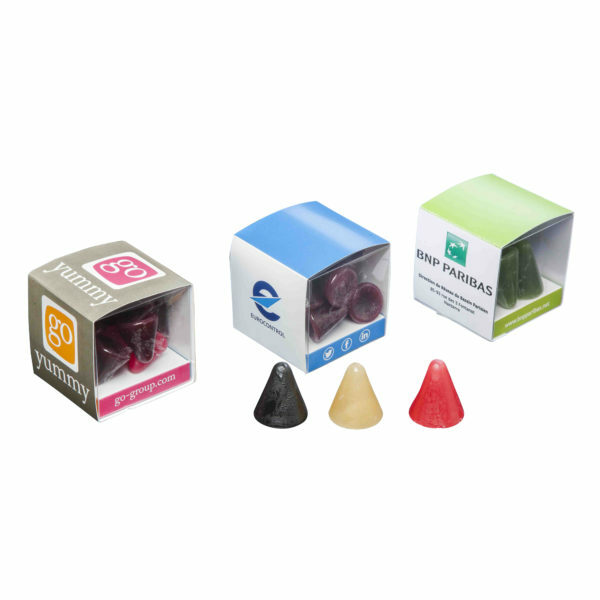 First of all,the cuberdon box is filled with a traditionnal cone-shaped Belgian Candy. Its exterior is slightly firm and its heart is very smooth. 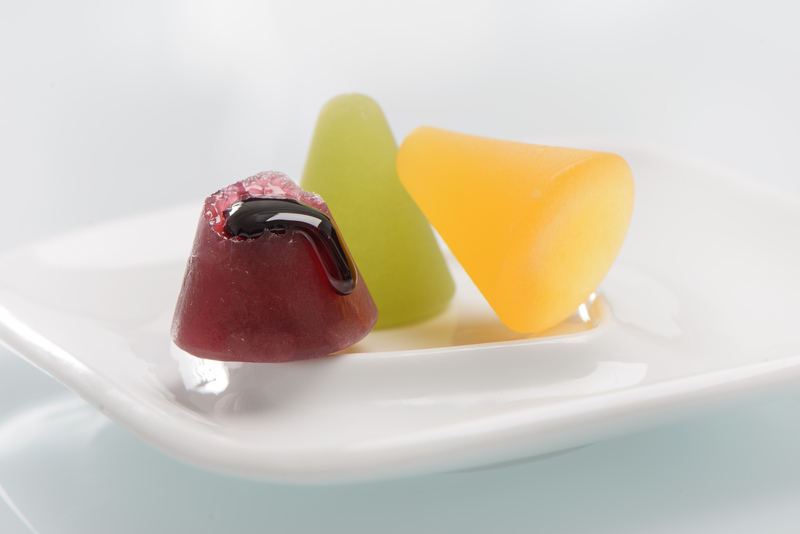 We offer you the authentic raspberry cuberdon and 16 other original flavours. 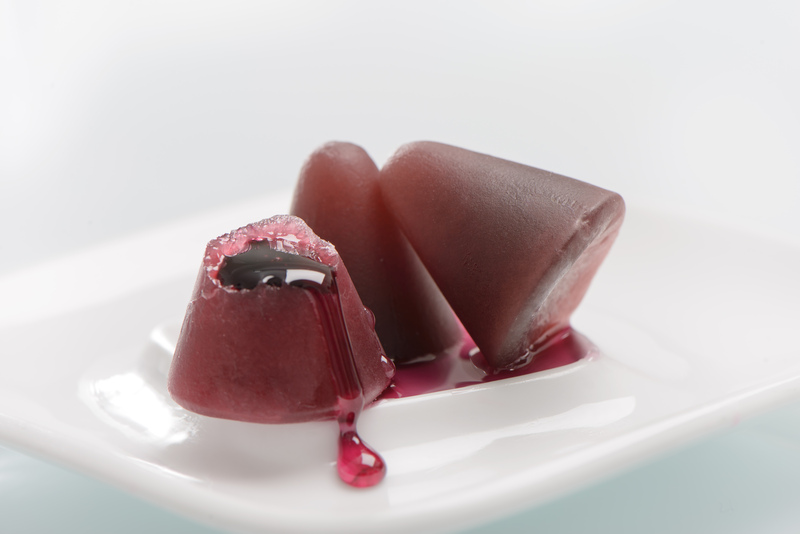 In addition, our cuberdons are made in the traditional way based on gum arabic, natural flavours and colourings. As a result,you can choose between : apricot, amaretto, pineapple, aniseed, banana, bergamot, blackcurrant, cherry,kiwi, lavender, mandarin, melon, blueberry, orange, grapefruit, passion fruit, peach, pistachio, pear, apple, rhubarb, rose, speculoos (biscuit) and violet,..
Furthermore,the self life of our cuberdons is 3 months. Finally, you can have your order in +/- 20 working days after approval of artwork.